Herons are long legged birds which live along the coastal lines and some species in around freshwater lakes. 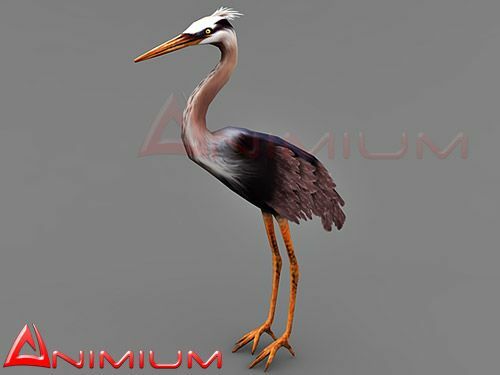 This is low poly, realistic 3d model of heron with 2 different textures. Perfect model for long shot renders of swamps and lakes. Included 3ds max and obj formats. Model is perfectly posed for rigging and animation. No password…posting so I know when it’s unlocked. Great Heron!